Simplified Siri voice search and downloadable third-party apps are the centerpieces of the brand new Apple TV, which also boasts a Bluetooth touchpad remote and an overhauled, colorful user interface. 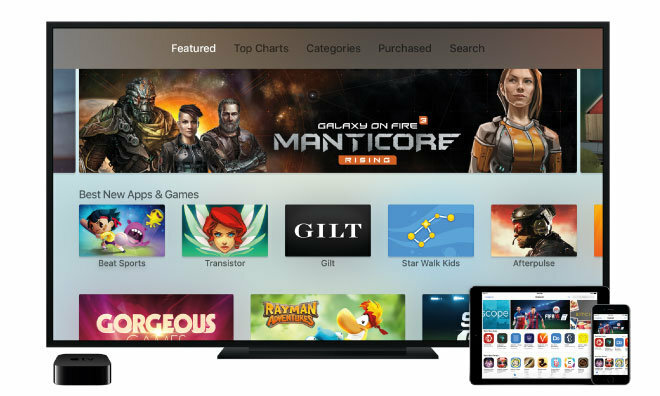 In unveiling the new Apple TV on Wednesday, Apple Chief Executive Tim Cook declared that "the future of TV is in apps." 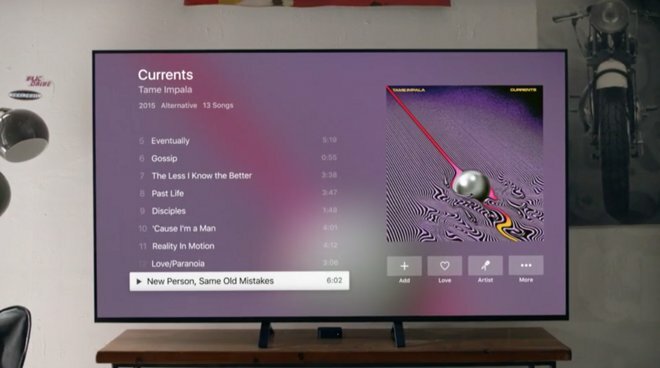 To that end, the new Apple TV includes an entirely new operating system called tvOS, with access to existing iOS technologies like Metal and CloudKit, and powered by the A8 processor. 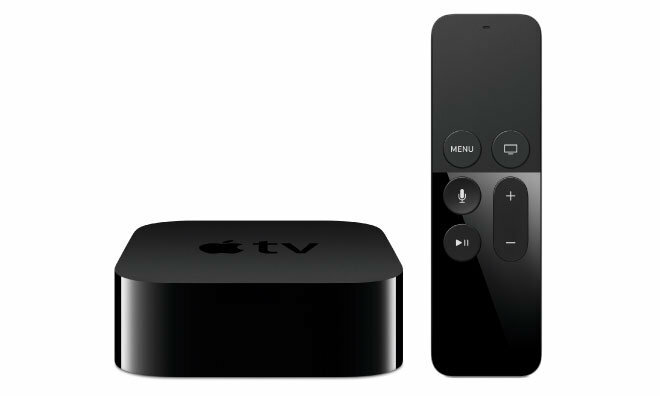 The new Apple TV is priced at $149 for a 32-gigabyte capacity, while a 64-gigabyte model will run $199. It launches in 80 countries in October, and will be available in over 100 countries by the end of the year. 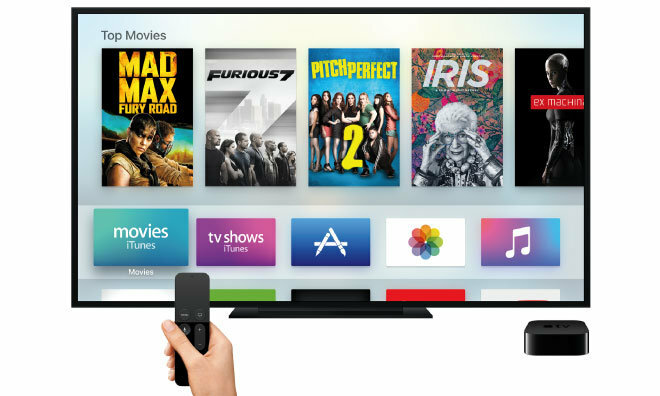 Some developers were given early access to the Apple TV, including content providers like Netflix, HBO and Hulu. Other, different options included AirBNB and a TV-based comic book reader. Apple showed off a new MLB at Bat app designed for Apple TV, with the ability to stream live games and show picture in picture. It also promised that an NHL streaming app will debut on the platform in 2016. Some games from established franchises were also shown, like Disney Infinity, Guitar Hero, and Rayman. 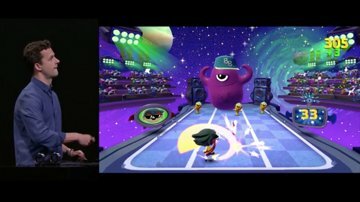 In one onstage demonstration, Jon Carter of Harmonix showcased Beat Sports, an Apple TV exclusive game. In the title, the motion sensing capabilities of the Siri remote were used to have an onscreen avatar swing a bat. 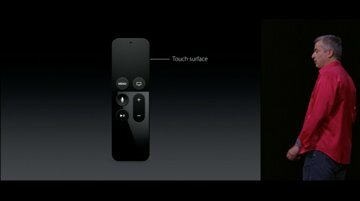 The new Siri remote also has a glass touch surface up top allow users to interact with the device and select content. Users simply "glide" across the interface with their fingertips. The device recharges through a Lightning connector on the bottom, and is said to last up to 3 months on a single charge. 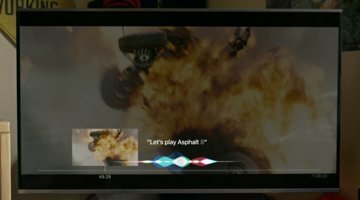 In line with its namesake, the Siri remote also includes a dedicated Siri button, and an integrated microphone that will allow users to find content more easily. 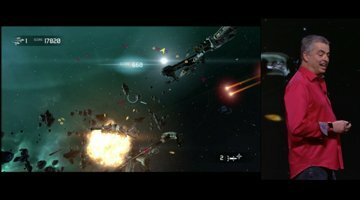 For example, upon selecting a TV show, users are presented with seasons, episodes, and more. 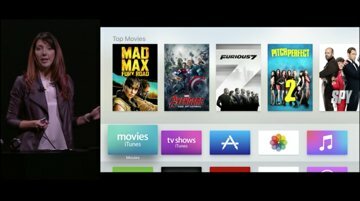 Siri also does across multiple content apps, giving users all of their viewing options on a single screen. 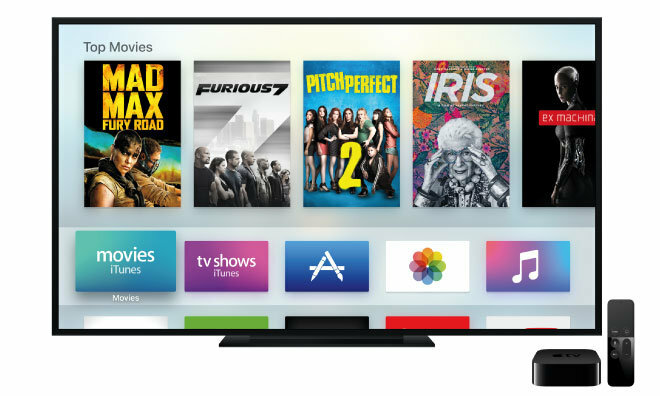 Content providers include iTunes, Hulu, Netflix, HBO, and Showtime, and more will be added over time. Siri can also be used for contextual commands. In one demonstration, Siri was asked "What did she just say?" The Apple TV automatically rewound the program and turned on captions. In another demonstration, the user searched for action films, then narrowed the search down to James Bond films, then just the ones with Sean Connery. Content can be searched by cast, date, director, and even age rating. Siri isn't limited to TV content, however. The voice-driven personal assistant also provides other information, such as sports scores and weather. Opening apps can also be accomplished by invoking Siri. 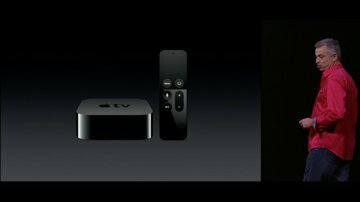 Apple also announced that its legacy third-generation Apple TV will remain a part of its lineup, priced at $69.